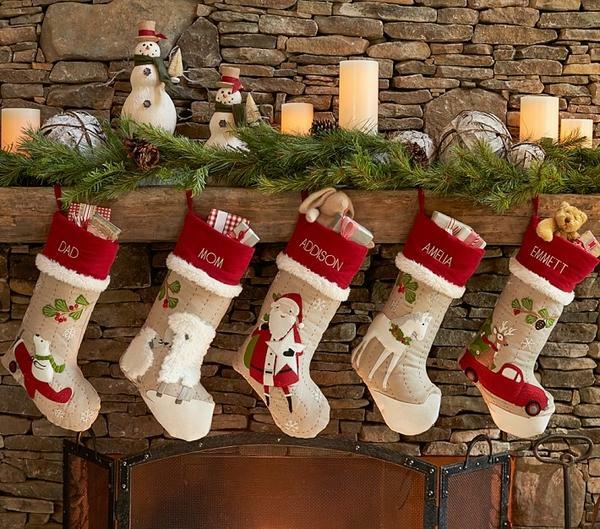 Christmas stockings are the most thrilling accessory for gifts from Santa Claus and not only for children. 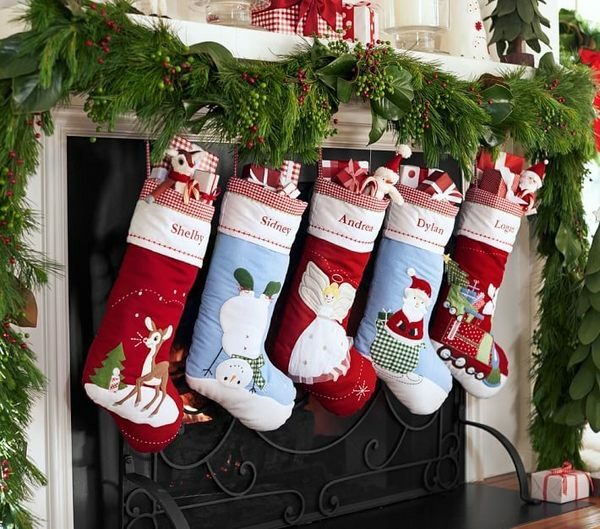 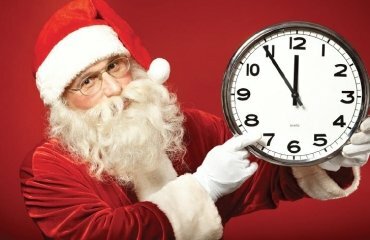 Of course, the little ones are waiting for the holiday eve with the biggest anticipation and the joy of their faces on next day is one of the most precious holiday gifts ever! 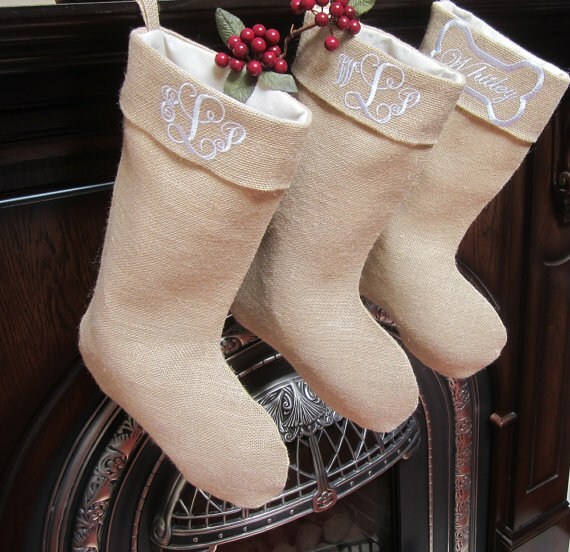 We have collected beautiful ideas for monogrammed Christmas stockings which will add to the real holiday mood of all the inhabitants of the home. 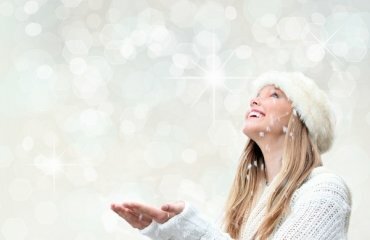 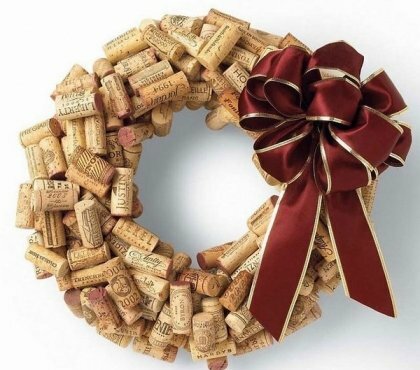 For all of us, the holiday season is a special time of year. 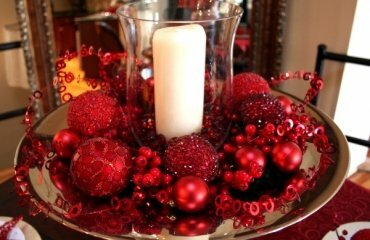 The time when get together with our friends and family. 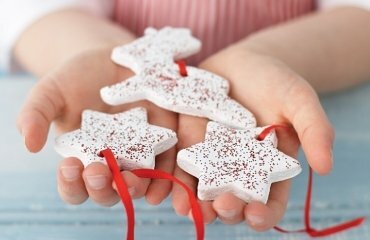 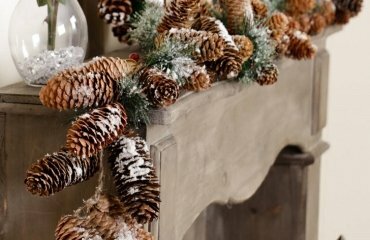 And before we pile the presents under the tree, we need to create a wonderful atmosphere and holiday mood with a magical home decoration. 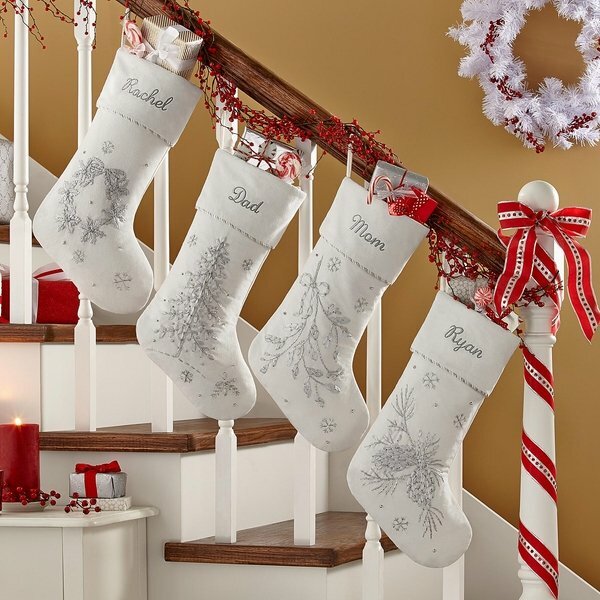 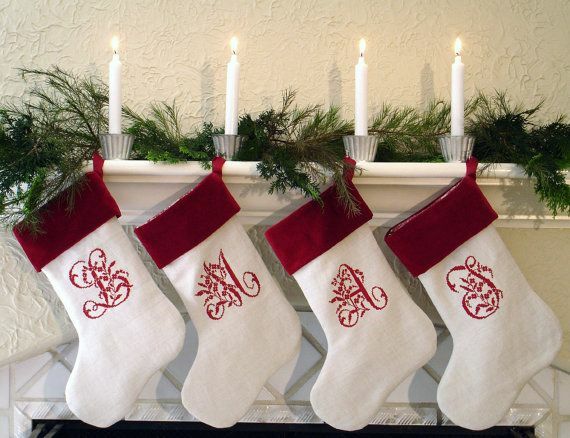 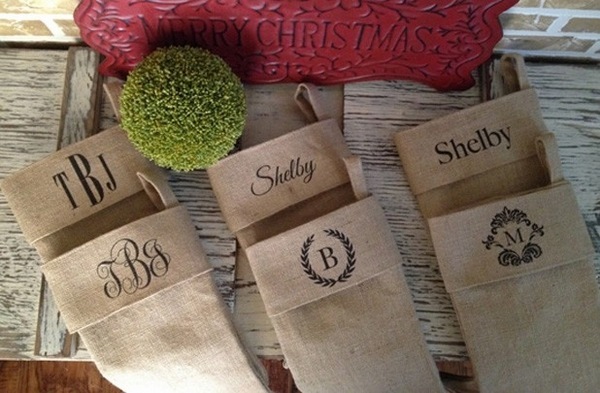 Monogrammed Christmas stockings are a fantastic decoration. 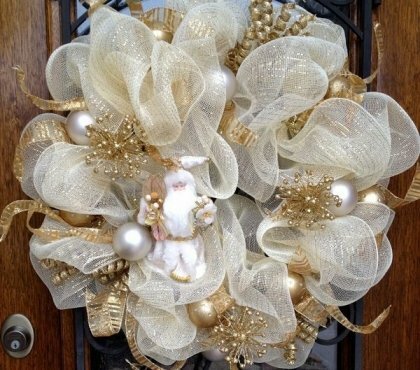 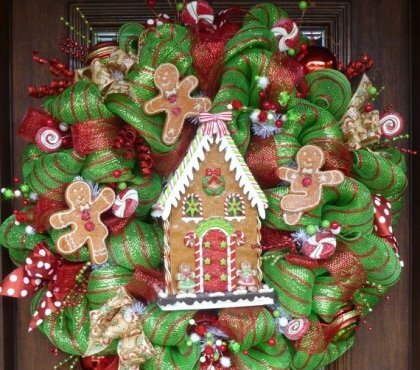 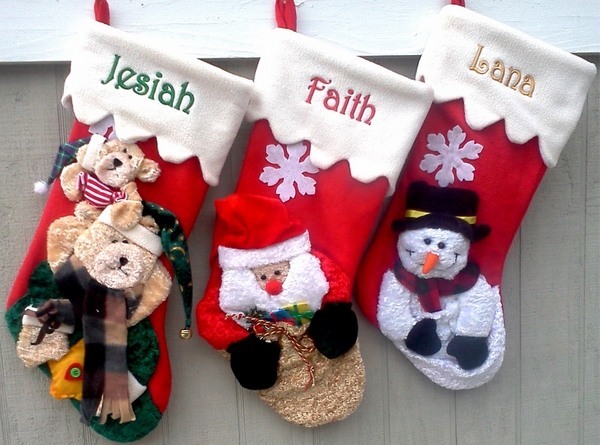 They add the personal touch to the holiday decor. 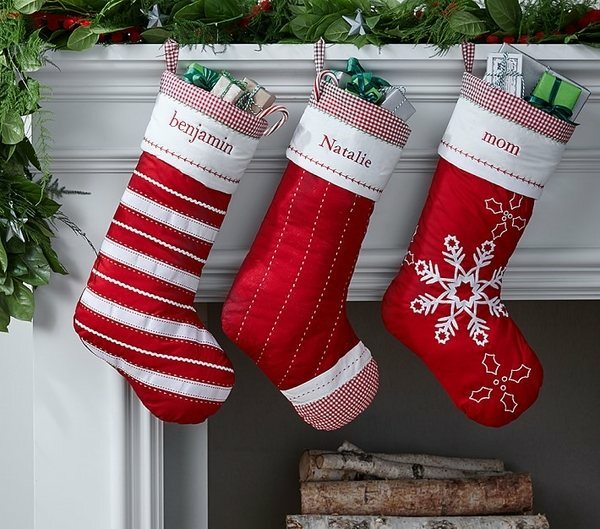 Yes, Christmas stockings are an absolute must for the nice decor. 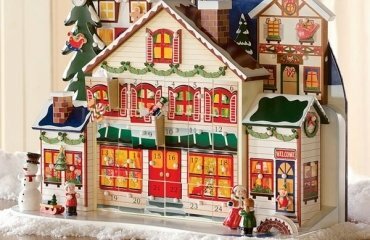 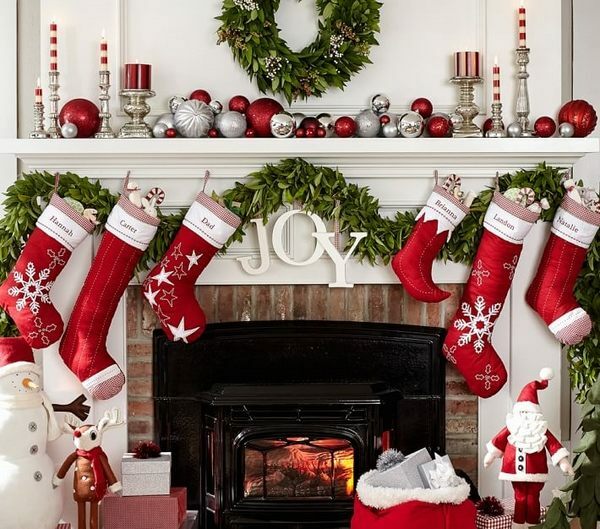 The classic place to hang them is the mantelpiece so that they are clearly visible and Santa would not miss filling them with gifts. 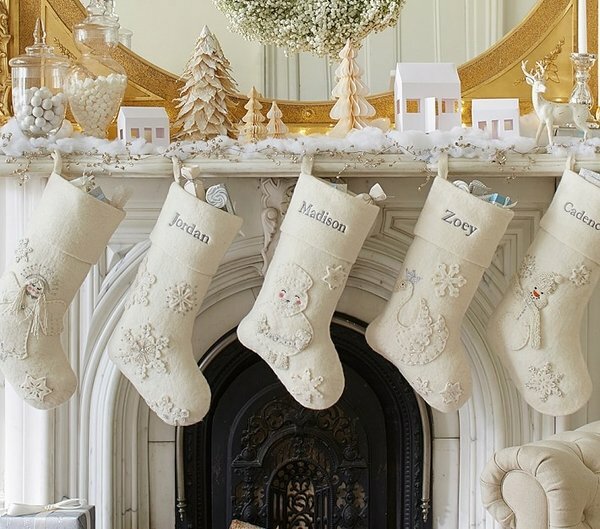 If you haven’t got a fireplace, personalised stockings for every family member (do not forget a stocking for the pet) can be placed on the stairs, or hung as a garland on the wall or on the dining chairs. 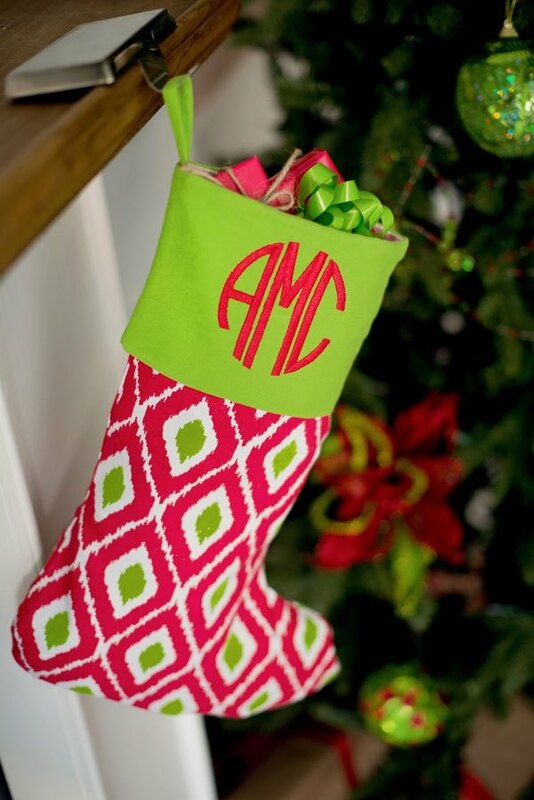 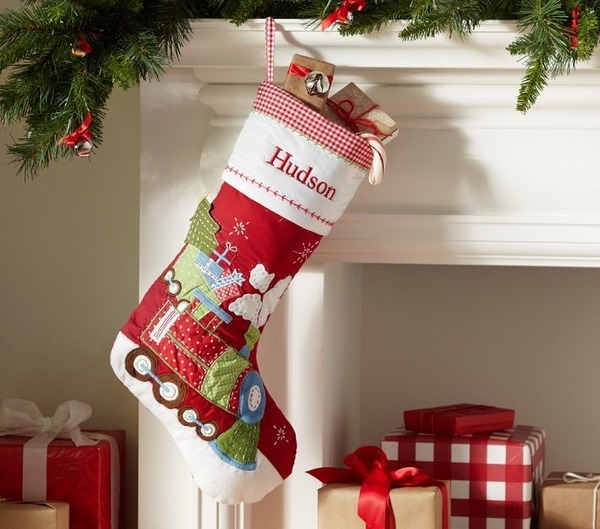 You can add to the delight of your children and other relatives with monogrammed Christmas stockings. 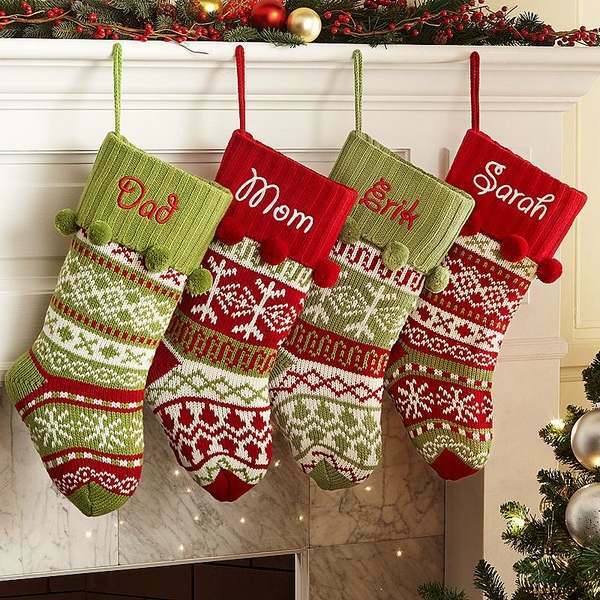 Each family member should have their own, personal stocking. 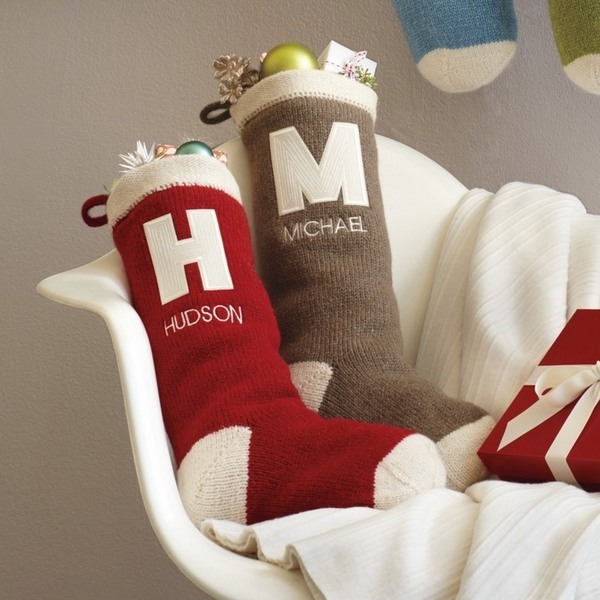 Many stores offer beautiful personalised stockings and you can buy them or you can craft them by yourself. 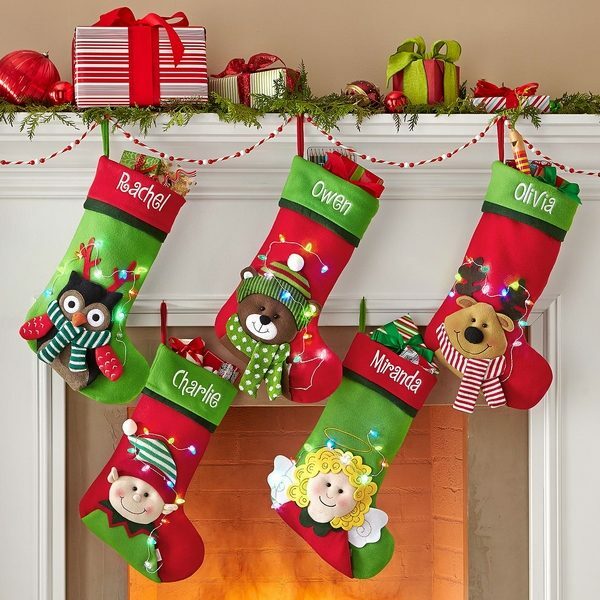 There are many DIY personalized stocking ideas which are suitable for children and adults and are a great idea for holiday crafts. 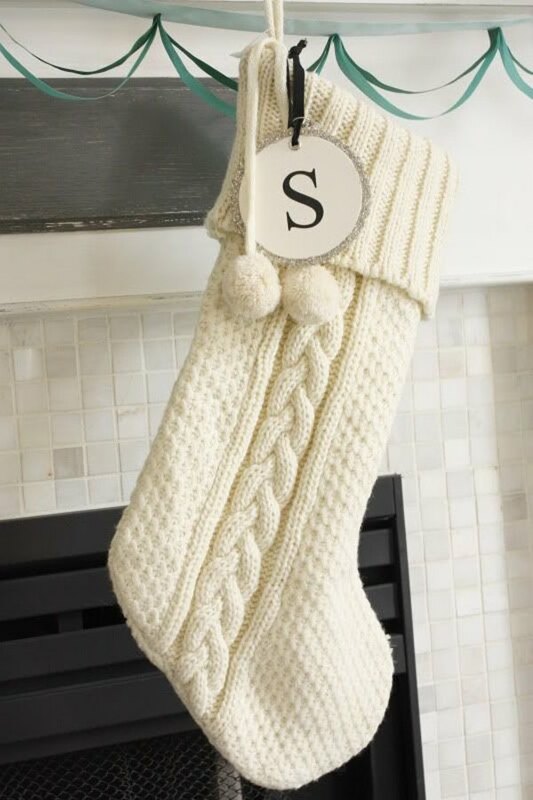 Ask the kids to craft a stocking for the pet. 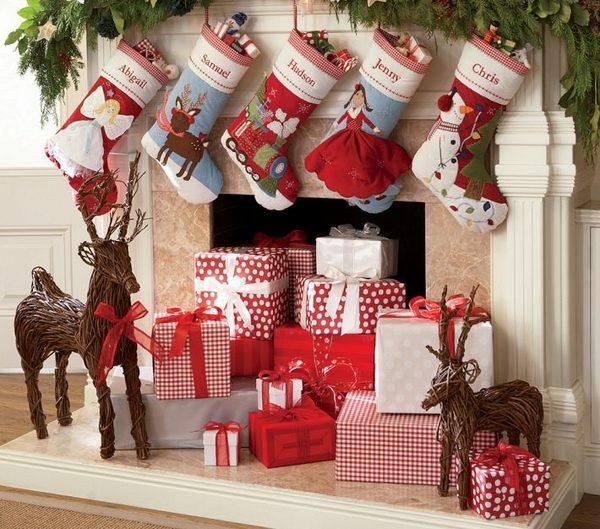 Some colorful paper will do the trick and kids will have a lot of fun during the holidays. 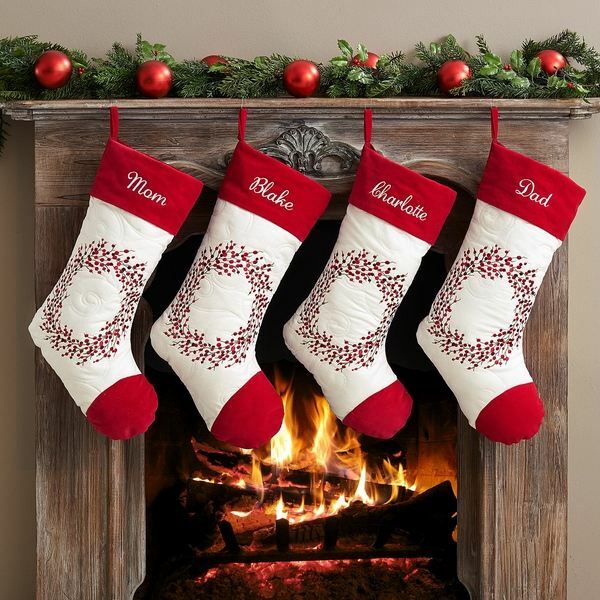 You can embroider the names of the family members, add traditional symbols, stars, trees, snowmen and snowflakes and you will have precious gifts for your children or grandchildren.